Mouseprice > Latest News > Blog > House Valuations > How much is my house worth? However, receiving a suitable valuation is not as straightforward as going on the internet and typing in a few digits. It is a complex process, with a range of factors that need to be discussed and taken into consideration. In this situation, it is usually best to hire a qualified property valuator who has had the right training and knows how to best determine the price of your home. Having said that, estimating property values can be relatively easy – and might help to determine any improvements that could increase this figure, such as installing double glazing or central heating. One way to gain an estimation of your house’s value is to look at how much similar properties sold for. Using Mouseprice’s sold prices tool, you can search by postcodes to determine how much you could receive. General area prices fluctuate with time and can be useful for identifying whether the price of your home could increase or decrease. For this, try using data located on the Land Registry website. Alternatively, you can use our property heat maps to identify neighbourhood trends. Although looking up sold prices for properties can be useful, searching for homes currently on the market can be just as important. Mouseprice, again, has a valuable tool which can be used to find homes for sale and it can illustrate how much people could be willing to pay. Despite your best intentions and efforts, external factors – such as flooding or pollution – could adversely affect your home in the future. It is always best to be aware of these potential dangers and using the Home Check tool should keep you informed. Bear in mind these methods are only useful in determining the approximate value of properties. 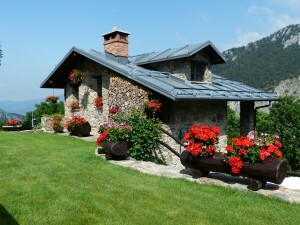 For something more reliable, you should hire the services of a specialist property valuation expert. Alternatively, if you have any questions on finding out how much your home is worth, please contact our team today. What kind of home can I expect to get for my money?